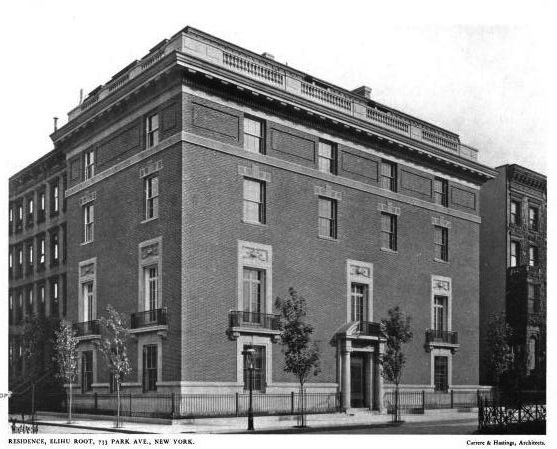 The Elihu Root residence designed by Carrere & Hastings c. 1904 at 733 Park Avenue in New York City. Root, an attorney, served as the Secretary of War from 1899-1904, the Secretary of State from 1905-1909 and U.S. Senator from New York from 1909-1915. The residence was demolished c. 1970 and replaced with a 30-story apartment building. Photo from Architecture, 1905.